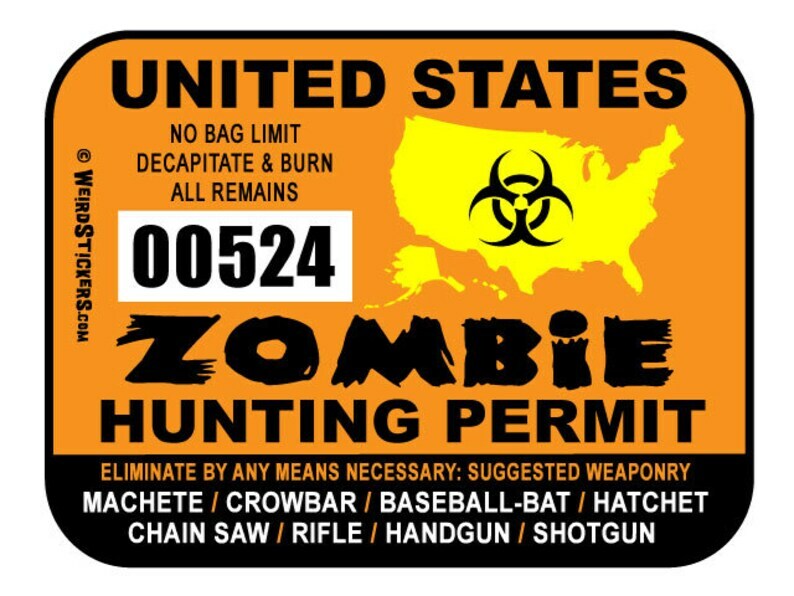 Make sure you identify yourself as a Bonafide Zombie Hunter when you're on the job. Individually Numbered, making each sticker unique. - On orders of 10 or more we can custom design and print " Your State or other Verbiage" at no extra charge.